Wilson Greatbatch's pacemaker was not the first invention designed to regulate the human heartbeat, but earlier devices had been prohibitively expensive, about the size of an oven, and required the patient to be tethered to an electric cord. While studying at Cornell, Greatbatch became intrigued by a disease called complete heart block, wherein the natural electric impulse from the brain to the heart's sinus node is disrupted. This signal causes the heart muscle to contract and pump blood, so when the signal is not present there can be fatal consequences. Greatbatch contemplated the possibility of an implantable electronic cardiac pacemaker. In 1958, working with physicians William Chardack and Andrew Gage, Greatbatch constructed a working model, the basis for the millions of pacemakers now in use. He built the first several dozen pacemakers by hand, which became unnecessary after licensing his patent to Medtronic. 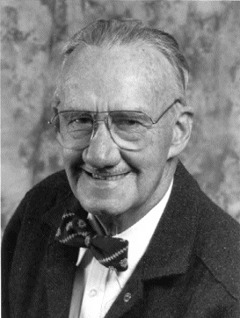 Greatbatch later founded his own company, and filed more than 250 patents, including a long-life corrosion-free lithium battery for the pacemaker, and a solar-powered canoe.